Following its roaring success, the two were invited to London to host a second edition of the fashion extravaganza before debuting Modest Fashion Week in Dubai for the first time in 2017. 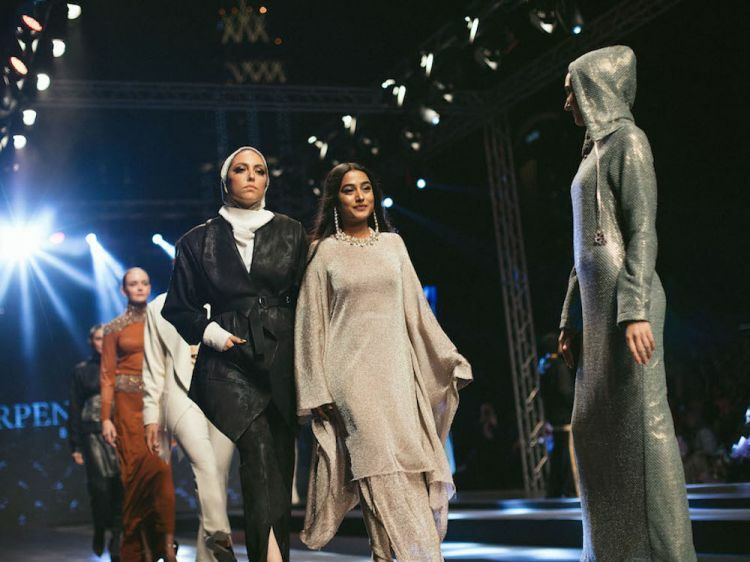 The two-day event unfolded at Burj Park, bringing with it more than 30 international and local modest ready-to-wear, abaya, and couture designers who all unveiled their latest collections on the runway. Now, this month, the modest fashion platform is making its hotly-anticipated return to the UAE for a second time, and is set to take place from March 7th to 9th, at an all-new venue. The three-day-long event will be housed at Mix restaurant at the newly opened Emerald Palace Kempinski. Coinciding with International Women’s Day (March 8), the second edition of Dubai Modest Fashion Week (DMFW) is a celebration of female empowerment. The all-inclusive event will feature modest fashion designers from over 26 countries around the world, along with People of Determination, who will also be represented at DMFW. There will also be a fashion exhibition showcasing designs created by refugees and underprivileged women. “We see ourselves as the guardians of the industry, not the authority,” shares Sahin in a press statement. “We are here to support, nurture, and highlight modest fashion talent from all over the world,” she adds. The fashion platform has invited modest influencers, retail vendors, and tastemakers from all points of the globe, including Jordan, Kuwait, the UAE, India, and Singapore, to partake in this year’s event. Some of the international brands showcasing this year include Niswa Fashion from the United States, Indonesia-based label CR by Tika Ramlan, Azerbaijan’s Hijab Queen, and the UAE’s Sheikha Hend Faisal Al Qassemi, among many others. There will also be exclusive discussion panels moderated by the likes of Safiya Abdallah (founder of Dulce by Safiya) and Sabrina Salhi (founder of ladies-only social event platform, Unveiled DXB) with leading industry professionals. Over the last few years, the fashion industry seems to have tuned into the often underrepresented demographic that comprises Muslim women and others for whom dressing conservatively is a religious or personal choice. With the rise of hijab-wearing models such as Halima Aden and Mariah Idrissi, big brands are also keen to be part of the modest fashion movement, which is estimated as one of the fastest growing markets. Nike has released a Nike Pro hijab, while L’Oréal Paris tapped hijabi beauty blogger Amena Khan as part of their shampoo campaign. Noticing an untapped market, major labels like Dolce & Gabbana and Marchesa have started churning out abaya and kaftan collections crafted with modest shoppers in mind, while international brand’s like Rebecca Minkoff and Aalto have invited hijabi models (and non-models) to take part in their shows. For more information, visit www.modestfashionweeks.com.